The Parkway Theater will hold a public screening of BLACK, a modern-day Malcolm X story, told through the eyes of a Black man who witnesses his brother’s murder by police during a routine traffic stop. In response to the murder, he goes on to create a movement of Black people to fight against systemic oppression and police violence. 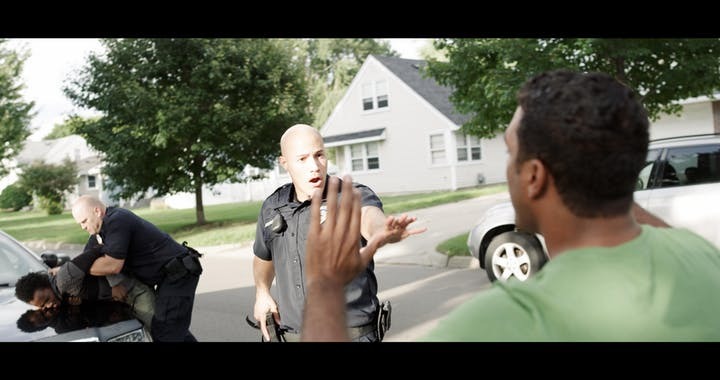 “I would have never written this film, had I not seen Philando Castile take his last breaths right there on camera,” said David Buchanan, the writer and director of BLACK. The film will also include real-life interviews from individuals who’ve been victims of police brutality. BLACK, was a part of the Official Selection at the Twin Cities Film Fest and nominated for Best Picture with Green Book and If Beale Street Could Talk. There will be a Q&A with the filmmakers after the screening.